Natural stone is an especially a powerful element that lends a sense of earthy connectedness, permanence and anchoring. It is versatile and complementary to almost any site. Uses of stone may be simple or elaborate, functional or decorative. Stone is a more costly material, so designing and locating optimally maximize the investment. 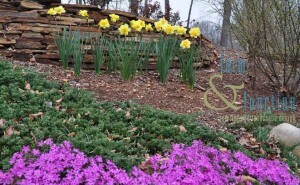 If you have a slope, consider a dry-stack wall for both beauty and function. I prefer using a flatter stone for this purpose. A simple stepping stone path laid in grass is a practical and casual application. Before setting in place, follow the intuitive paths already present. Nothing compares with the visual and impression created by boulders or clusters of more manageable stones. Setting in place may be no small feat, so be sure to view from many directions before committing. These are especially great around water features. 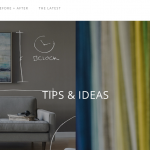 Want a unique look for your property? 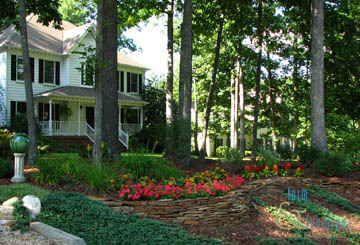 Meadow gardens are an up-and-coming style option for the right area. Meadows are environmentally sound and casually beautiful. The plants that are good for meadows are usually not fussy types. Native grasses are frequently incorporated, lending a wispy, billowy touch. Meadows attract birds and butterflies, adding living animation. 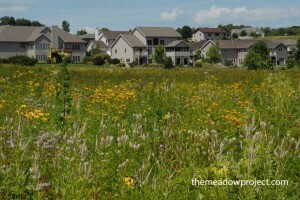 I predict the meadow garden will be a growing trend! 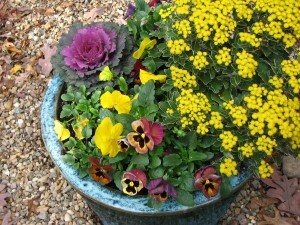 Fall is the very best time for planting, transplanting, dividing perennials, etc. In other words, just about everything does best when planted in the cooler season. 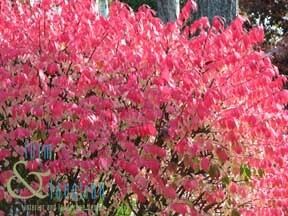 Most trees and shrubs benefit from fall planting because they get a chance to put down new roots and become established in their new home through the fall, winter, and spring months. Autumn is also of course the time to reseed or install a cool season (fescue) lawn, and the only time for planting spring blooming bulbs such as daffodils. If you’re going to make some changes or additions to the landscape, consider your ideas and locations for new plants or islands from multiple vantage points. The effect is completely different depending on where it is viewed from. The driving approach and presence from the road is key. The next experience is of course the walk to your front door. Curb appeal is all about the exterior, but don’t neglect views from your home’s interior. By locating new features carefully, you can make the time and effort pay twice.